Just another new Lego game? Well, this time with LEGOThe Incredibles we definitely got a quite different franchise and can play some other superheroes than the known ones from DC or Marvel. While the game concept hasn’t changed much it’s always great to see some fresh licences making their way into the LEGO universe. The take on Pixar’s characters from the developers of TT Games offers a great service for fans right at the start when you see that famous lamp made out of bricks. 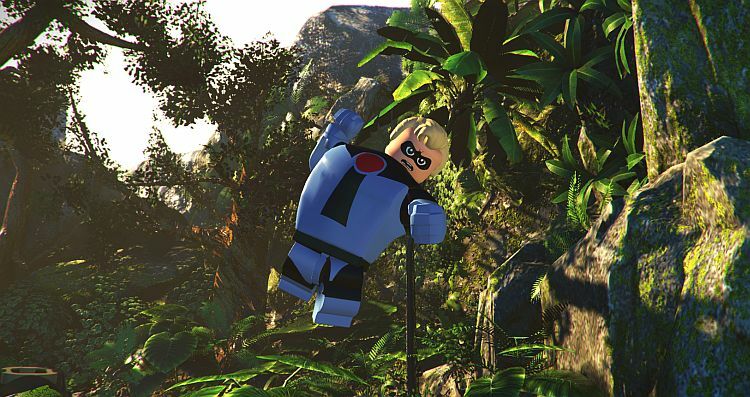 But of course that’s not all what LEGO The Incredibles has in store for you. If you haven’t seen The Incredibles 2 yet, you should go and watch it first, because the game starts directly after the events of the first movie. The Incredibles family is trying to stop the Underminer together with friend Frozone. After the task is successful they seem themselves confronted with the police and their no-supers-policy. After meeting with the Deavors the Paar family is moving into a special house, as they want to bring the supers back. It was quite surprising to me to find out that you have to play through the newest movie and then unlock the first one. I mean what is the sense to use superpowers from characters so early in the game, when the discovery of them is basically a story part of the first movie? I wonder what the developers had in mind using this design approach. 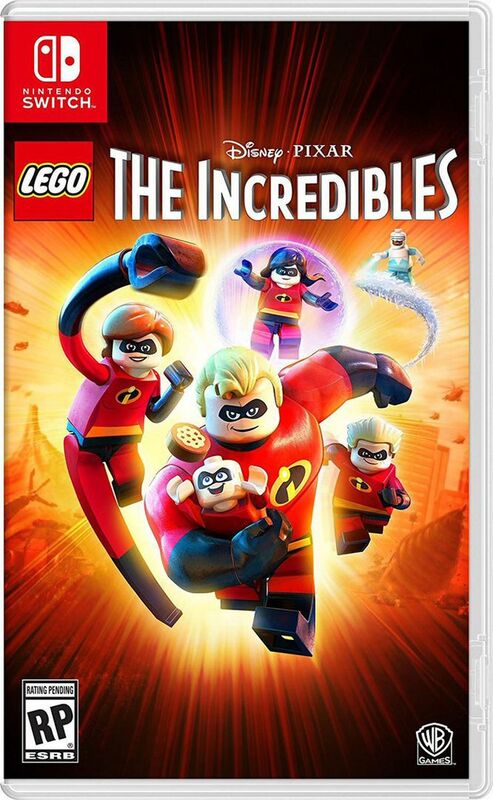 Also there are some modifications involved to deliver a more child-friendly game, in other words – no one dies in LEGO The Incredibles. Besides following the story mode you can explore an open world and start your search for collectibles. Also a second player can jump into the game at any time and on Nintendo Switch you can control a character with a single Joy-Con. Great! There’s no online-mode though, which means that LEGO The Incredibles is purely a singleplayer or couch co-op experience. If we talk about the characters of course Mr. Incredible makes use of his enormous strength and smashes through walls while Elastigirl can transform her body into different shapes and stretch to reach distant objects. As for the children of the married couple we have Dash, who’s the fastest character not only movement wise but also building wise. Violet has powerful attacks and makes use of her psionic blades, invisibility and protective shields. Of course it is again about using the right characters and abilities to progress through the different levels. With a total of over 100 unlockable characters there is definitely something for everyone and also some unexpected surprises made it into the game. For example Lightning McQueen from Cars, Merida from Brave and Flik from A Bug’s Life. I have to admit though that some characters also appear multiple with different costumes, but they always stick with the same abilities. Regarding the general gameplay and progression system it’s pretty straight forward and unfortunately Elastigirl’s use of different shapes don’t require any kind of creativity as there’s always only one right way to move on. As mentioned the only way to play this game together with another person is on your couch. There’s a bit of communication needed to solve the puzzles and missions together but you can feel that the team wanted to make this “just” a fun game for the whole family and especially children, so don’t expect any great challenges. As I jumped into the multiplayer together with my girlfriend, she explored the whole world on different vehicles and had a lot of fun. Besides that she also had some good laughs about the characters and dialogues in the game. I guess we can definitely say – mission accomplished! 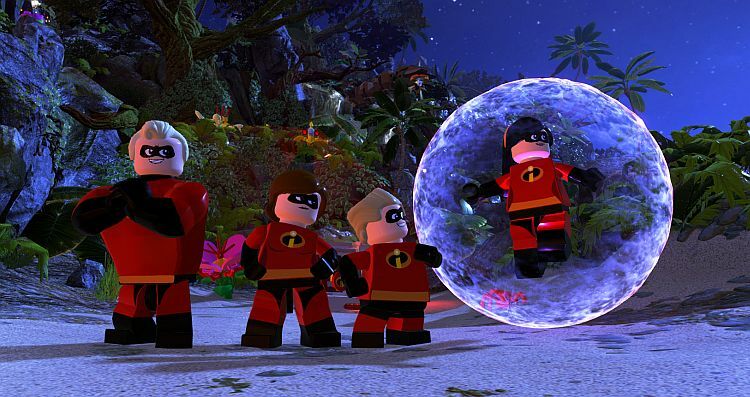 Visually LEGO The Incredibles doesn’t differ from other titles of the series. A lot of colors, a lot of explosions and well of course a world made out of the famous bricks. The original voice actors are also part of LEGO The Incredibles and in some cases, where it didn’t work out they found decent replacements. One example is the character Woody, originally voiced by Tom Hanks and replaced by his brother Jim Hanks. The soundtrack from Michael Giacchino is a great fit during the playthrough and helps to create a great gaming experience. 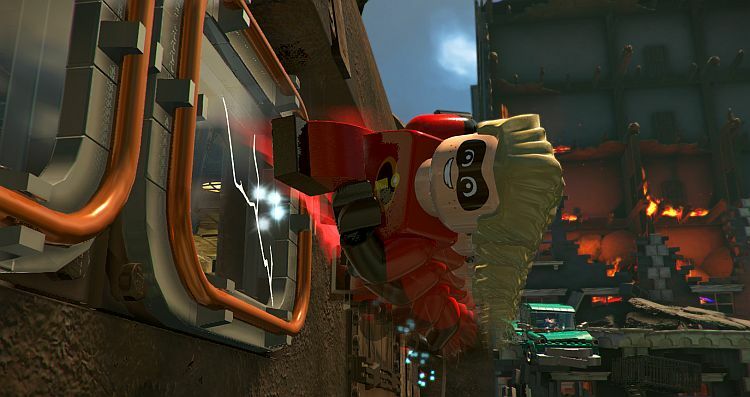 As the puzzles are mostly based on scenes from the movies, it might be helpful to have a certain knowledge before playing LEGO The Incredibles. If you get stuck, you can make use of the integrated hint system though. 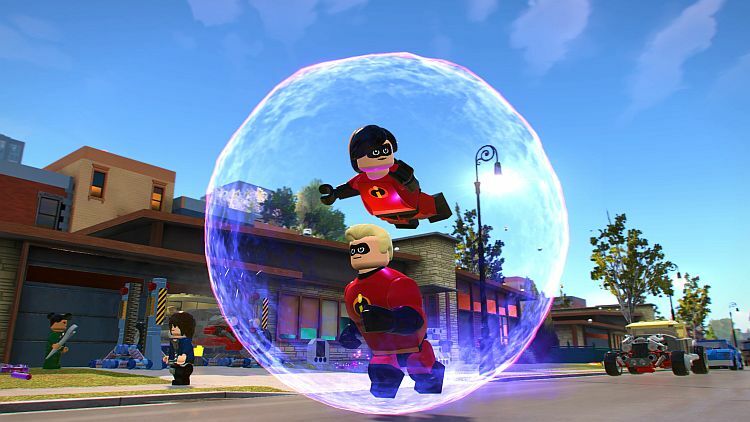 You shouldn’t expect a deep character roster like the DC and Marvel titles from LEGO offer, but if you are a fan of Pixar’s characters and let’s be honest, who isn’t, this game is definitely something you’ll enjoy. Grab your child, girlfriend, boyfriend, mom or dad and spent some nice hours in this colorful LEGO world. In the end there was only question, that I kept asking myself: Why do I play the second movie before the first one? Not an incredible game - but LEGO The Incredibles definitely delivers fanservice for everyone that enjoys Pixar's characters.